One woman's release exemplifies how New York State is softening its clemency practices, and may lead a national trend in the process. Lydia Garcia Ortiz was arrested for leading a ring that trafficked an estimated $5 million of cocaine from New York City to Rochester, where she lived—charges Lydia does not deny. It was the era of the Rockefeller drug laws in New York, which imposed severe sentences for nonviolent drug crimes. Many cite these laws, which have since been reformed, as a catalyst for the tough-on-crime era. At trial, she said, the judge offered her a bargain: If she snitched on other drug dealers, her sentence would be reduced to three years. She refused. “My lawyer told me, ‘If you go to the other court, you’ll get 25’” Lydia said. 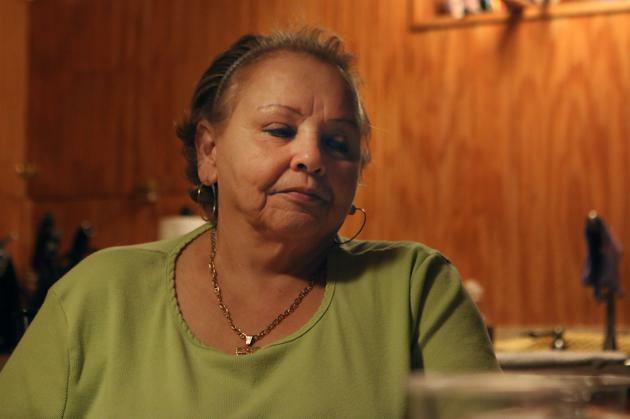 She didn’t want to snitch, and she didn’t want to go to prison for multiple decades. So she fled. For the next 14 years, Lydia lived as a fugitive. First in Mexico City for four years, then in Houston. While on the lam, she lived under her mother’s identity, and she played it straight, cleaning offices for a living. Her family in New York went to visit her twice, and twice she traveled to Puerto Rico to see family. Eventually, the police caught up with her. A tip led authorities to where she was living, and they confirmed her identity by looking at fingerprints taken for her driver’s license test. In absentia, she had been sentenced to 25 years. At the time she was 58, “In all likelihood, this is a life sentence for her,” then-Monroe County District Attorney Howard Relin told the Houston Chronicle. That was in 1998. On October 27, 2015, Lydia stepped out of Bedford Hills Prison, the only maximum security prison for women in New York, in Westchester County, about an hour north of New York City. She wore state-issued red sweatpants and held a train ticket to New York City, where she would catch a bus to her family’s home in Rochester. Just five days earlier she had learned that Governor Andrew Cuomo granted her request for sentence commutation. Without the commutation she would have been in prison for at least another twelve years, well into her 80s. For her welcome-home meal, her sister-in-law cooked the foods that Lydia missed most: arroz con gandules, a classic Puerto Rican rice dish with pigeon peas and pork; pasteles, a type of tamal typically eaten on Christmas; roasted pork; and virgin piña coladas. Her daughter, grandchildren, great-grandchildren, and her best friend gathered at her brother’s house in Rochester, New York. This was her first home-cooked meal in 12 years. Pork was the food that she missed most while incarcerated. The next day, her daughter Daisy made rice with beans, and pork chops. That, Lydia said, was really, really good. She told me so in November while we sat around the kitchen table at Daisy’s quaint single-family home in Rochester; two granddaughters sat by Lydia’s side. Both in their early 30s, Damaris and Susie Serrano shared their grandmother’s curvy build and contagious laughter. Lydia lives here with Daisy, Daisy’s husband, Juan Serrano, Damaris, and Damaris’s teenaged son. The home is immaculately clean. Daisy suffers from lupus and rheumatoid arthritis. She can’t work, and sitting for too long is painful, so she frequently takes physical solace in housework. We sat in the basement, where there is a wood-paneled kitchen and dark den. Family photos decorate the wall, as well as the head of a deer that Juan hunted. Lydia wore a gold chain with a cross around her neck that Daisy had kept safe for her while she was away. Her hair was dyed blond—she joked that having it done was among the first things she did as a free woman. It was 12:40 p.m. The women at Bedford Hills Prison were getting ready for the 1 o’clock work shift or class, Lydia said. Lydia thinks about her friends at Bedford often (she is not allowed to contact them for two years because of a parole stipulation). She knew many people who had either applied for commutation, or were so doubtful that they would get it they didn’t even bother applying. “Maybe he can have more compassion and understanding,” she said of New York Gov. Andrew Cuomo. State governors have executive power to grant clemencies either by shortening the sentence of an incarcerated person, a commutation, or erasing the criminal record of someone formerly incarcerated, a pardon. 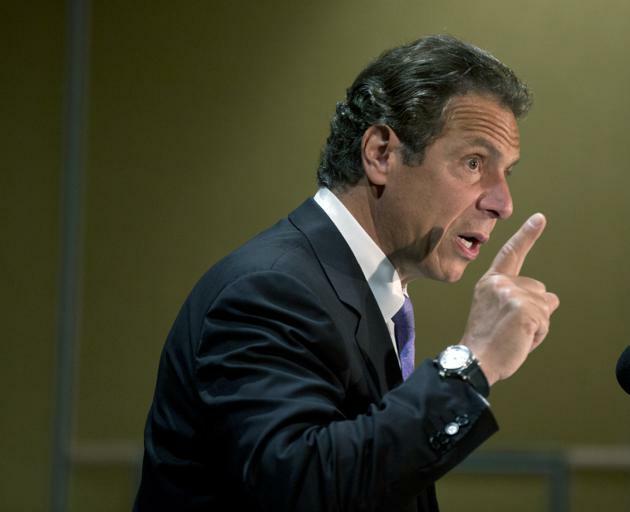 This is a power that Cuomo—like most governors—has rarely used during his time in office—nine times to be exact. Lydia’s commutation might signal that Cuomo has had a change of heart on the issue. Along with her early release, he granted another commutation and two pardons, nearly doubling the total number of clemencies he has granted since taking office in 2011. Lydia and a man released on the same day, Michael Correa, were the first to have their sentences commuted by Cuomo. The same day that he announced Lydia’s commutation, Cuomo announced an initiative to better streamline clemency applications. The administration plans to review all viable applicants, a spokesperson said in an email, but will pay special attention to juveniles and the elderly. They tapped a number of legal organizations to help with the process—Lydia, like most applicants, did not have a lawyer to help with her application. If all goes according to plan, this initiative will ensure that all future applicants do. Opponents to clemency argue that releasing inmates early could pose a threat to the public, often nodding to the legacy of Willie Horton, a Massachusetts inmate who committed heinous crimes while on leave from prison three decades ago. Though he wasn’t actually granted clemency, his case serves as a cautionary tale (and was a serious thorn in the campaign of then-Massachusetts governor and presidential hopeful Michael Dukakis). Others say that it’s not the governor’s place to intervene with the criminal-justice system, that there are other mechanisms, such as the parole board, to serve the purpose of clemency. At least one anti-clemency governor, Wisconsin's Scott Walker, has argued that clemency is unfair because it is a system that gives only the squeaky wheel the oil, that applicants with strong “public relations” campaigns would be most likely to have clemency granted. Often, governors wait until the end of their term to grant a slew of clemencies, avoiding the political backlash because they will soon be out of office. For example, outgoing Kentucky governor Steve Beshear recently issued 201 pardons and six commutations during his final hours in office. In recent decades, an era where politicians don’t want to be seen as soft on crime, the clemency power has become politically dangerous, explained P.S. Ruckman, Jr., political-science professor at Northern Illinois University and author of the Pardon Power blog. Ruckman’s home state of Illinois, has seen a bit of change in pardoning culture over the past few gubernatorial terms. Following the now-incarcerated former governor Rod Blagojevich, who granted zero clemencies during his term, Pat Quinn, a Democrat, granted 1,752 requests and denied 3,014—a rate of grants reported to be among the highest for any governor at that time. The current governor, Bruce Rauner, a Republican, has taken steps to maintain a healthy clemency system. Rauner reviews applications on a regular cycle. Since taking office last January, he has granted 21 clemencies, in four batches. “I think there is a growing recognition from everyone that this ‘lock them up forever’ isn't working,” said Sigmond. “And that we need to move past these long prison sentences, and that we need to look at more efficient and effective ways of handling criminal conduct in a more sophisticated fashion,” she said. A healthy clemency system, Ruckman said, is one that reviews applications in a systematic fashion on a regular basis. He points to Arkansas as a good example of a state where pardons are given at a healthy rate. “In Arkansas, the governors regularly pardon—not hundreds of thousands, but two here five here, ten there, that type of thing,” he said. The first step in the process to preparing a petition is to review the candidate’s full file. Next, the lawyer or applicant must track down the prosecutor if possible, talk with the victim’s family, and ensure that there is a viable reentry plan, explained Carol Sigmond, president of the New York Lawyers Association. Sigmond is one of the individuals Cuomo asked to lead the pro bono effort. Then, the final step, and possibly the hardest, is, “to convince the governor that this is a person that should be out of jail,” Sigmond said. All told, she estimates this will take about forty hours of work per applicant. This type of free legal service for inmates seeking clemency is the first of its kind in the country. Sources close to the topic told Next America that they are skeptical that the governor’s office will be able to get enough lawyers on board for the plan to move as swiftly as laid out. Another meaningful aspect of Cuomo’s new initiative is that prison superintendents will help identify candidates within their prison. “Those superintendents have a wealth of information because they’re on the ground,” said the governor’s chief counsel, Alphonso David. “We are engaging with the superintendents to see if they can help us identify candidates who might not ever apply to clemency because they don’t know about the program, because they don’t think that they can fill out an application, or who would never apply to clemency because they are fearful,” he said. Twelve years after her final arrest in 2003—the earliest she was eligible for clemency—Lydia submitted an application. Her brother, who had been advocating for her release, made sure she knew what materials she needed to fill out. The superintendent at Bedford Hills helped her fill out the application materials, Lydia said. This past March she applied, and soon the wheels were set in motion. On March 9, the director of the Executive Clemency Bureau, Donald Fries, sent a letter to the superintendent at Bedford Hills telling her that Lydia was under consideration. Ten days later, Lydia had signed a form for the release of her records, which were promptly released on March 26. David was one of the people to review her application. “There were a variety of factors that we looked at, and certainly a number that we look to with Ms. Ortiz that I think are worth highlighting,” David said. Notably, her age, her nearly unblemished disciplinary record, and her physical impairments—she has severe arthritis in her knee and has trouble walking, and requires a hearing aid. “Despite her physical limitations, she made proactive efforts towards rehabilitation, and completed a number of programs, and earned a number of vocational titles,” David said. She earned a certificate for completing a horticulture program that said she is the “most improved student ever, ever, ever.” Gardening wasn’t a hobby of hers before prison. But now she loves it—she spent spring and summer sowing, weeding, and harvesting the prison garden, and now plans to have a plot in her daughter and son-in-law’s backyard. She completed several gardening-related programs, and one for flower arranging. She also completed more traditional education programs such as conversational English. Because of her age and physical ailments, the job-related skills she learned in prison aren’t necessary for her new life. She is applying for Social Security and preparing for peaceful life as a stay-at-home great-grandmother. Over the past few months she has spent her days going to doctor’s appointments, social security appointments, parole meetings, and spending time with her family and friends. In her daughter’s home, after a lunch of pasta salad and chopped tomato that she prepared, Lydia changed into a house dress and cozied up on the living room couch to watch television with her daughter, Daisy, and son-in-law, Juan Serrano. Juan drives a city sanitation truck, so he’d left the house at 6 a.m. that morning. He flipped through the channels, the women watched and added a stream of commentary in Spanish. Daisy got up periodically to clean something in the kitchen, or prepare a cup of coffee. Sitting for too long is painful for her. The five-hour drives to visit her mother in Bedford were excruciating, even with the pain meds. Juan says that the stress took a toll on her health. She, like the rest of Lydia’s Rochester family, relied mostly on the phone to keep in touch, and occasional visits. They also sent money to her commissary fund as often as possible so she could buy food that was better than what the cafeteria offered; the only means they had to take care of her physical needs. One of Lydia’s great-grandsons, a high school aged boy, came in with his mother, who had just picked him up from school. He kissed the adults on the cheek and went downstairs to watch his own shows. Lydia looked around the room and turned to me, “beautiful family,” she whispered. And then continued to banter with her daughter at the flicking television.